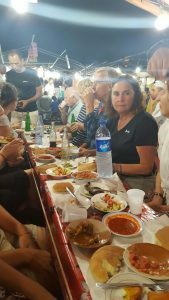 One of the main things that attracted me to Morocco was its mix of European, Middle Eastern and African culture and flavors. Marrakech epitomizes this. The cultural capital of Morocco, Marrakech is an ancient exotic city wrapped in European modernity. 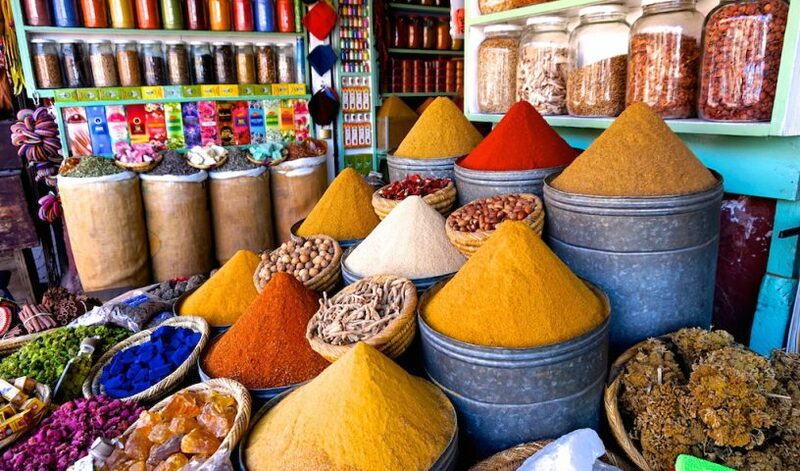 Well known for its spice markets and Djemma el Fna one of the largest squares in the world, Marrakech is a feast for the senses. 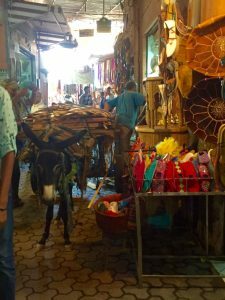 My short 3-day adventure in Marrakech (I spent more days exploring the rest of Morocco) touched the tip of the iceberg, the charm of its pink walled houses, bustling souqs and fresh mint tea will have you come back for more. Where to Stay: There are plenty of hotels to choose from in Marrakech. But for an authentic experience, book yourself into a traditional Riad – a traditional Moroccan house or palace with an interior garden or courtyard. You’ll love the experience and warmth of the owners. 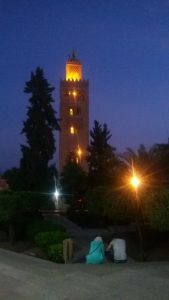 Best Time to Visit: While Marrakech can be explored all year round, in summer the temperature reaches desert like heat. Stay hydrated, wear cotton, loose clothing and a hat. How to reach: Marrakech has an International airport. 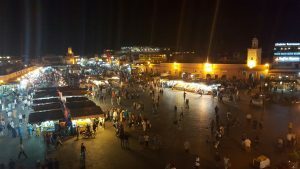 It will also well connected by train and road from Casablanca, another big city in Morocco. 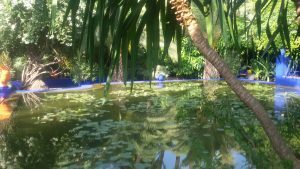 As I write this blog, I’m sitting back, sipping on mint tea in coloruful glasses I picked up in the Marrakech medina, reminiscing with fondness my time in this exotic land and the wonderful people I met.